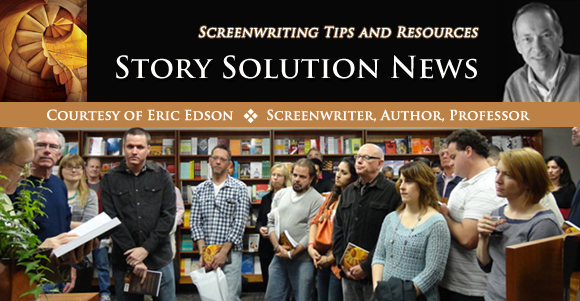 November 9, 2012 – Northridge, CA – While there are many websites offering information on virtually every aspect of the screenwriting and TV writing process, Eric Edson has identified his 5 Favorite Online Screenplay Libraries. Each provides a slightly different focus and format, but each offers unique features and information that will be of interest to screen and TV writers alike. SimplyScripts (www.simplyscripts.com) offers links to hundreds of free, downloadable scripts, movie scripts, screenplays, and transcripts of current, classic and maybe a few soon-to-be-released movies, television shows, anime, unproduced shows, and radio shows. This website is a powerful screenwriting resource, with easy navigation among the various key topics. Each of the topics—Movie Scripts, TV Scripts, Unproduced Scripts, Radio Scripts, Anime Scripts, Oscar Scripts, Treatments, Plays, Musicals, Non English Scripts, Discussion Board, Movie Reviews, Unproduced Script of the Day—has its own navigation button at the top of the Home page, so writers can quickly and easily find exactly what they need to do research for their creative writing project. Visit their website. Drew’s Script-o-rama (www.script-o-rama.com) amazing TV writing resource for the screenwriting and TV writing professional, offering multiple versions of scripts in various forms of completion, including first drafts, second drafts, shooting drafts, revised drafts, revised final drafts, shooting scripts, production drafts, and more. By reviewing these drafts, screenwriters and scriptwriters can understand the journey a screenplay or script takes, from first draft through the entire development cycle, to final draft and into production. Reviewing and understanding the nuances of the changes that take place throughout this process provides a unique set of screenwriting tips and techniques that are highly effective for polishing your craft as a true storyteller. Visit their website. Screenplays for You (www.sfy.ru) is a targeted scriptwriting database providing a wide variety and large number of high-profile scripts and screenplays. The website is bare-bones in format and visual appeal, but is organized logically, with an alphabetical index at the top of the screen for ease of navigation. The home page offers the most recently added screenplays so frequent visitors can quickly scan these to find those that fit their specific screenwriting or TV writing needs. Visit their website. The Daily Script (www.dailyscript.com) is a highly interactive screenwriting website that takes a unique approach to providing content of interest to screenwriting and scriptwriting professionals. Each day a single screenplay or script is featured on the home page of this website. Most are presented in html format, although some are in .pdf format, requiring Adobe Acrobat Reader (which can be downloaded free of charge). This website also offers movie scripts, TV scripts, and links to other screenwriting and TV writing, resources, screenwriting tips, screenwriting courses, screenwriting books, resources on how to sell a screenplay, and much more. Visit their website. The Internet Movie Script Database (www.imsdb.com) is the Largest Internet Screenwriting Database, offering the largest selection of movie scripts on the Internet. The home page is formatted clearly to showcase new additions to the site. There are also easy navigation indexes along the left side of the home page, where visitors can search for screenplays by alphabetical order and by genre. There is also a separate index section for TV scripts. The site also offers a chat area and a comments area for those who wish to interact with other screenwriting and scriptwriting professionals. Visit their website. Great list! Simply Scripts is usually my initial go-to when it comes to searching for scripts. I like the breakdown of each website. My eventual goal is to read all the Oscar-winning screenplays on Simply Scripts. Thanks for providing the readers wide range of resources by citing your favorite online screenplay libraries. There are many aspiring writers out there who need this. Each website seems a valuable resource to writers and researchers. Thank you for the recommendations. Now writers can go to a number of quality screenplay libraries without leaving their homes! I have nothing but praise for Eric and how he is willing to help the rest of us “up and coming” screenwriters, by providing so much knowledge in how to get what we need to try and succeed in this industry. Not many professionals would do what Eric does, so I commend him! I have been looking for resources to write better stories. I found great suggestions and invaluable info on this page. Thank you very much! As a regular resource, I guess The Daily Script will be helpful for me. The resources and tips, links and books will be a good guide for budding scriptwriters like me. Stumbling upon this site is such a great resource! I never thought I could easily find free downloadable copies of the scripts of my favorite movies. Eric Edson is such a genius. It seems like The Internet Movie Script Database is the most popular screen writing pages. Thanks to you Eric for such a useful post. It was really helpful. I’m a budding writer and I find these online libraries a great help to start my career on the right path. Sometimes I believe the key to success is sometimes by reading a lot of materials from other writers and from there discover your own writing styles. Aspiring and even experienced screenwriters should browse through these websites featured here. Why reinvent the wheel when you can learn from successful scripts simply by a click of the mouse? Whenever I want to go through my favorite movie lines, I usually have to watch the video again and check the subtitles. And of course, Google could be handy. But this post really makes life a whole lot easier. Thanks for sharing the link Eric! The detailed accounts of every library is highly appreciated. I am aware of The Internet Movie Script Database and now I have many more resources to choose from – all thanks to this article. This article is a must read for all budding screenwriters. 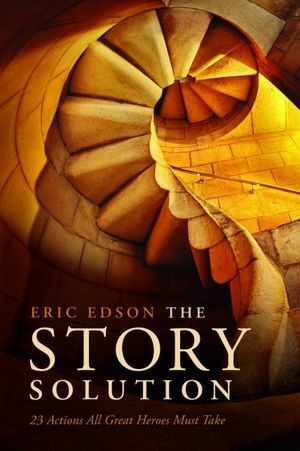 These online Screenplay Libraries suggested by Eric Edson are great. Each of the websites is providing valuable screenwriting tips for amateur and professional writers. With a single click in computer, one can easily learn from the basic to complex screenwriting and TV writing process. Initially, screenplay writers are faced with numerous challenges and difficulties in constructing an exceptional screenplay. However, with the advancement of technology, writers have an easier access to theoretical and practical resources on screenplay writing.